What does it take to write a whole collection of poems about the word ‘Celebration’? Well it takes lots of research, remembering, collecting ideas, words, customs, traditions and finding an immediate way into a topic that brings that child and adult reader right into the middle of a special time. It also took a year of writing and reflecting and rewriting. Seventy two poems star in this collection, but many more were written but just didn’t make it to the final cut. My editor Mary, encouraged and suggested and thoroughly went through each poem for balance, word choice and overall appeal. Thanks Mary. Some celebrations made the backbone of the collection like: Australia day, Easter, Valentine’s day, Anzac day, Christmas. I wanted the seasons included as a demarcation of changes and progression in the book. Once the autumn poem was written (which incidentally was the first poem I wrote for the collection) then I used the same beat, word count and line break for the other seasonal poems. My poetry shows that I love concrete details, sound words, sensory images and a unique patterning for each poem. I also love unexpected surprises and poetry is a great format for this. Each poem is a little universe, with a beginning, a middle and end that spins you around to the beginning again. I love embracing all the multi-cultural high points of the year like: Harmony day, Chinese New Year, Bastille day, Ramadan, Hanukkah, to name a few. Throw in some quirky celebrations like talk like a pirate day and International dot day and there’s a poem to read for every Australian milestone in the year. Q Who or what was your favourite book character as a child? If you could incorporate that character into one of your own stories, which would it be and why? How would you adapt that character to suit? I wanted to be one of the girls in the Enid Blyton’s Famous Five or Secret Seven series, because, having few books in my childhood, I felt as if I personally knew the girls. But as well, they were up front characters who had adventures and were at time, quite gutsy. I liked that! I think many of my girl characters have some of those characteristics! 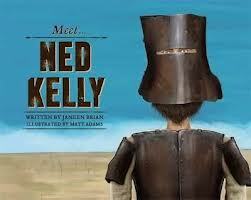 Q Which Aussie children’s book author do you admire the most and why? How can any reader or writer answer that! I love the work of my friend and poetry colleague, Lorraine Marwood. Her words sing to me or shake me about. Her work is so real and yet, magical. A bit like her. Q How long does it take you to develop a children’s story? Does the time vary dependant on the genre: picture book, MG novel, script etc. I have recently compiled an anthology of my poems, entitled, As long as a piece of string. That will have to suffice for my answer to that one, because as vague as it is, it’s the truth. 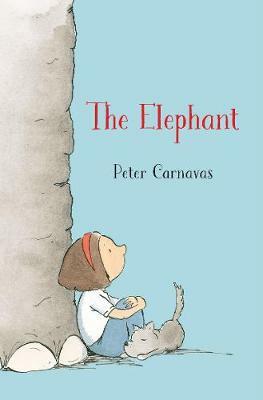 Sometimes picture books can take as long to write as a piece of fiction. Of course, you’re not necessarily slogging at it for hours every day, but developing it, shaping it and re-writing it over time. Q Do you write every day? What is the most enjoyable part of your working day? It’s rare that I miss a day where I’m not writing, even if it’s just catching up on my diary. Q What inspires you to write like nothing else can? Certain words; strong, emotional situations; a state of tranquillity. Q Do you have a special spot or routine to make the magic happen or can you write anywhere, any time? I work mainly in my home office; and each morning I prime myself by responding to emails and getting lots of admin out the way first. It’s also a way of letting my brain know that I’m here and we’re going to do something to do with writing or brainstorming. I do a lot of brainstorming. I don’t tend to start putting anything on the computer until I’ve written enough, using pen on paper, and have a physical feeling that that I’ve captured the voice of the character or that I’m ready to start. Q What is that one thing that motivates you to keep on writing (for children)? I love the creativity; the tumble and jumble of words and feelings; the constant astonishment that so much of what happens in your life can become the story for another and the fact children seem to like what I write. So many! I think being a writer is full of surprises, but a recent one was winning the Carclew Fellowship in the 2012 Adelaide Festival Awards for Literature. The Fellowship awarded me a sizeable amount of money to further research and develop a three-in-one-project. When the phone call came to say that I’d won, my first reaction was that I was going to be told my application was disallowed because it involved three proposals, not one. But instead, I was told I’d won! Q What is on the draft table for Janeen? Three books due for release within the next six months – so, much admin, media promotion and launches to organise. 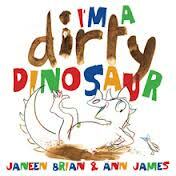 The books are: A picture book for the very young, called I’m a dirty dinosaur. 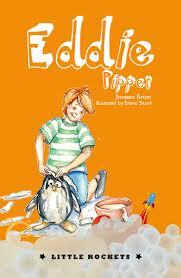 (illustrated by Ann James and published by Penguin group Australia). 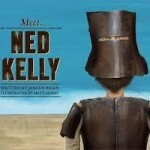 An Australian historical picture book for the young called Meet Ned Kelly (illustrated by Matt Adams and published by Random House) and an historical, adventure novel for upper primary, called That boy, Jack. (published by Walker Books) I also have a number of other projects out with my agent or publishers. My next project will be another picture book. I have vague ideas, but will need to do more research first. Can hardly wait. For a full list of this year’s releases visit Janeen’s website too. I love verse novels, poetry, fantasy and historical narrative. Ooh sorry for liking so many – I’m sure there are more also. 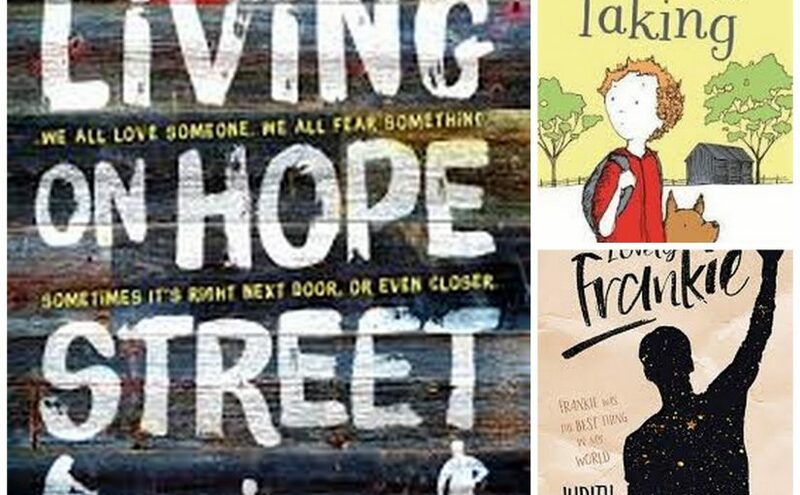 There are so many enthralling genres for children’s books now and I love verse novels and poetry for the concentrated does of emotion and sensory experiences they bring to the reader. And fantasy novels are so rich and varied now and the writing so powerful. Historical fiction has always been a special delight to me as the atmosphere and the unique details bring to life a rich journey undertaken by people similar to us, yet reacting and living in a differently orientated world. One I especially love (and still have the copy) is Princess and Curdie by George MacDonald. Fairy tales, my sister’s books… English school girl comics… horse books. Once I arrived at high school I was bewildered by a school library (no such thing in my primary school) and borrowed vociferously. I remember discovering Nancy Drew there – books about Egypt, historical romance, adventure, A Wrinkle in Time – I read and read and read. Atmosphere, a feisty character who draws empathy from the reader and a surprise-laden plot. Read aloud to your young toddler; read aloud and share with your young child at all ages; taking trips to the local library together; sharing choices in the local bookshop; subscribing to a magazine; showing the love you yourself have for books and bookcases!! And also starting a family diary or journal, where you all write a sentence each- about your day, your week – extra chances to read! Lorraine Marwood is a poet and author. Her fifth book with Walker books will be published in 2013. She has written two verse novels and five collections of poetry. 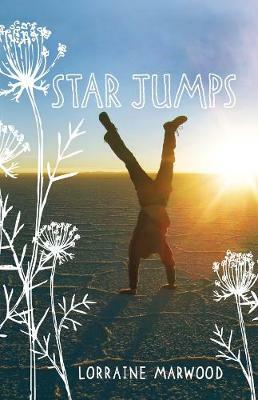 Her verse novel Star Jumps won the Prime Minister’s award for children’s fiction in 2010. She is also the author of two Aussie Nibbles and loves taking poetry/creative writing workshops with both children and adults. Just from the title, Lorraine Marwood’s latest book, A Ute Picnic placed me in the country and offered the promise of being laden with poems and imagery. 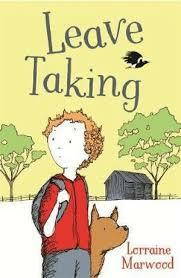 Reading A Ute Picnic took me back to childhood picnics with Mum, Dad, my brothers, my sister, me and the family dog. The title poem, A Ute Picnic recalled those memories for me in vivid detail. The smell of cheese and tomato sandwiches, the sound of the dog lapping water from a bowl, Mum reading and my dad snoozing in the sun. To me, that’s the essence of great poetry; that it brings the scene to life for the reader, makes you feel as if you are there. When I read A Ute Picnic I became part of the farming family. I winced at the arrival of shooters, smiled at the ticketty puppy coping with it’s first night on the farm and crusty farmer, Dad refilling the dog’s hot water bottle to bring it comfort (First Night). My heart caught in my throat at the terror of the Black Saturday bushfires and I nodded at the old dog Woo-wooing(Old Dog); exactly the same bark my old dog used to have. Skimming Tricks brought back memories of hours skimming shale across the water and watching my own kids celebrating their first ‘triple skip’. A Ute Picnic is full of humour, wisdom and real farm living. It takes the reader on a visual journey across the paddocks and even into the sheds at milking time. 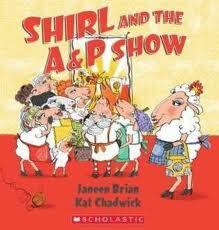 If you’ve lived in the country, you’ll relate to this book. But even if you’ve been a city dweller all your life, you’ll be drawn in by the warmth and humanity – the telling detail that makes the images so real. Beautiful writing and clever editing make A Ute Picnic accessible to readers of all ages. 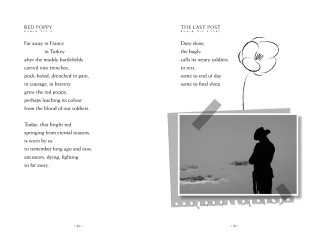 The poems have been sorted into sections according to topics and this makes it easy to read one part at a time and then take a break to absorb what you have experienced through the book. The vivid poetry in A Ute Picnic tells stories within stories and interspersed images and drawings help make it real for the reader. A Ute Picnic is for children aged 8 to 12 but will have appeal for older readers and adults. With the topics and issues it covers, it’s a great educational resource and perfect for use in schools. Teaching Notes are available for A Ute Picnic from the Walker Books website and Lorraine has written a teaching strategy as part of them. Today I’m pleased to welcome writer friend and poet extraordinaire, Lorraine Marwood. Lorraine says that writing has been an organic part of her since she was seven or eight years of age – and it’s something I’m sure many writers can relate to. Initially, she trained as a teacher and says that these skills have been valuable in helping her present workshops in schools, understand the writing process and know how to help reluctant writers. Initially getting a story accepted for publication, and bringing tears to a reader’s eyes. Lorraine is the author of twelve books and her writing has strong poetry elements and themes of farming and family. She says that the thing she loves most about writing is having the creativity to see what happens. To dream up stories that I would like to read – to celebrate viewpoints in life that might otherwise go uncelebrated; unremembered. She admits that writing is a “burning desire that is me”. Lorraine is currently working on a novel which she says is her longest piece to date. Writing but not earning a living- the poverty of being a writer in monetary terms and in the beginning the darkness of not knowing if what you were writing was worthy enough to be published. Read, find out the genre that excites you to read and that will most probably be the genre that you will want to write in. Pull a novel apart see what makes it tick- the novel that you wished you’d written. I asked Lorraine to tell us about her most recent release, A Ute Picnic. 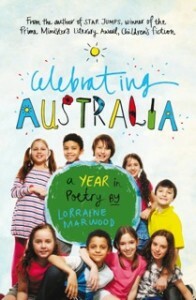 It’s a collection of poems for children and as Lorraine says, “A collection of poems from the one poet is rare these days in publishing- especially Children’s publishing”. A Ute Picnic is a glimpse at real life scenarios on a working farm in rural Australia- not a topic that is often currently written about – once it was considered ‘old fashioned’ so does that mean a whole segment of food producing Australia is old fashioned? I love the fact that my publisher, Walker promotes poetry, supports poetry and loves the glimpse into an other life style. I enjoyed seeing the collection unroll like a narrative. I enjoyed the selection process- many more poems were submitted- but only the best were selected and then refined. Some poems were written anew from notes and lines written a few years ago in my note books. Others lay dormant waiting for that last spruce before hitting the limelight. A Ute Picnic has been a long and dedicated undertaking for Lorraine. A collection of poems evolves over a number of years- so this book adds up to a lot of years work. The challenge to provide poems of even quality, variety and relevance was perhaps the hardest thing. Also the many edits the book went through, often this was while I was overseas this year- so I laughingly say that the book has been edited in Vienna, Rome , Paris and London!!! The collection is for 9 year-olds onwards, and is also enjoyed by adults. Lorraine like to think that her poems will strike a chord with readers of all ages – they cover real farm issues providing a sensory narrative through vignettes of farm life. This Friday at Kids’ Book Capers, we’re reviewing A Ute Picnic.